Another month gone by and another monthly favorites. I am hoping closer to Christmas there will be more favorites to include. I've started using this hand cream from Superdrug and at 99p you can't go wrong. It smells lovely and keeps my hands silky smooth I've been using it throughout the day and every night before I go to bed. My hands really suffer during the cold months so its important I use a good hand cream. I've been watching Vampire Diaries during October and really loving it. I've not read the books but I like it much better than the Twilight films. 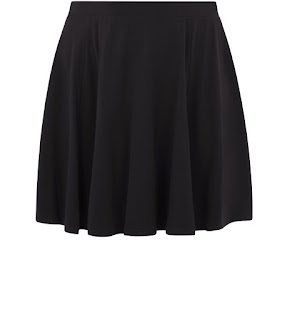 I love this skater skirt that I purchased from New Look in the plus size range. It will go perfectly with tights and a black winter jumper. I have a few jumpers which I love from peacocks which are a great to pair with skirts and jeans during autumn/winter. 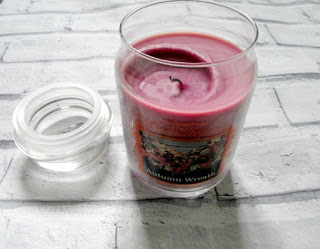 I picked this candle up in the Card Factory during the January Sales I think its a perfect scent for this time of year. This month Blake has loved sitting at his big boy Ikea table and chairs. He no longer sits in a high chair as he loves being more independent. Its so cute seeing him look so grown up but makes me feel sad as he is growing up to fast and will be 2 in December. We were sent some bits from Aldi this month and Blake is loving this Fire Engine to the rescue book. He is really into his interactive books like this at the moment. We were sent this Push Me, Pull Me puppy from Tomy to include in our Christmas gift guide which you will be able to read more about at a later date. 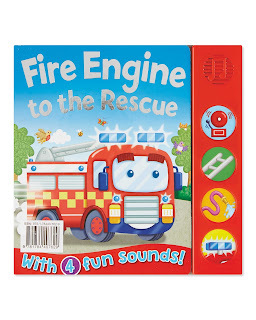 Blake has loved playing this although was skeptical to begin with. So that's this months favorites. What have you been loving?